Hello Clones! 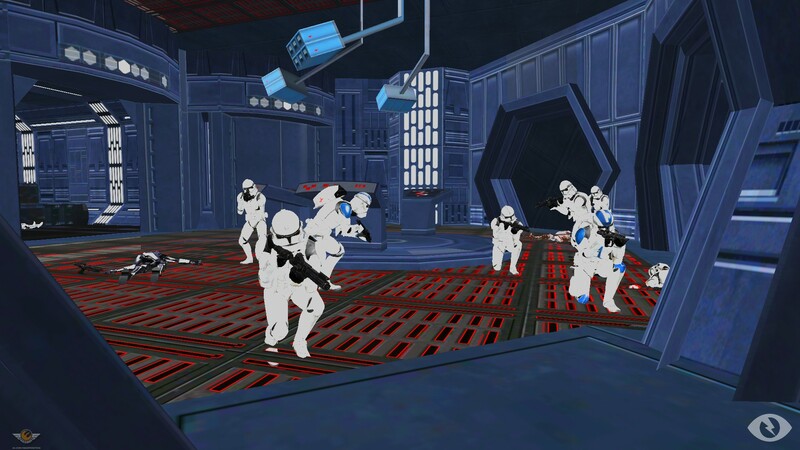 This week the 501st Legion’s many platoons and detachments took part in many field training exercises to prepare themselves for the next wave and planets in the Galactic Campaign. This does not mean that the news team didn’t find any information for the 10th weekly newsletter. We are proud to bring forward for the long awaited Mynock detachment that will provide the other elements with fire support and ground assaults with vehicles! We also had a moment to speak with CS-M Sorensic about his time in the unit and CX-S Jackson on how he hosted a Rainbow Six: Siege tournament with the 501st! Mynock has officially be opened! As of March 24 2019, Mynock detachment has had all of it’s slots filled for the time being. The following have been transferred from their previous billets into Mynock. -Mynock command prepares for combat! 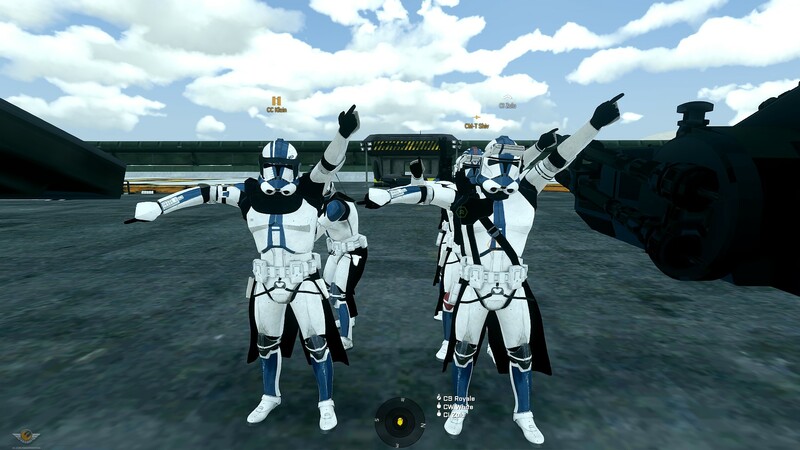 The 501st News Team had the chance to speak with the illustrious Sergeant Major Sorensic who has been with the unit for a long time and his story is almost as long as the unit itself. Sorensic joined June 2nd, 2017, just two weeks after the 501st had been formed. He was drawn to the unit by invitation of an old friend of his, who was from a Mount and Blade community he frequented. He had never been in an Arma 3 unit before, due to a slow computer but it was fairly simple to join at this time. When he first joined the unit he was fairly intimidated by those around him, many came from military backgrounds. Sorensic knew that he was stepping out of his own comfortable corner of the internet and despite this he knew that he wanted to lead. He soon went on to squad lead in his own initial training. During his first four months as an NCO, he mentions that if he had the chance, he would have banned himself for his own performance. Splitting his time in half between M&B:WB and the 501s, Major Jay saw the leadership aspect in him and by his fourth FTX, he was a Sergeant. Back then people were coming and going at such a fast rate, squad leaders were more concerned with keeping themselves together and providing structure together and maintaining order. Sorensic was a Sergeant for a month and then he was Bondoer’s Sergeant-Major. Sorensic had learned a lot under Bondoer and mentions that this was the time that many of the experiences he has had during this time have influenced how he leads and how he interacts with people in the unit. His first operation under Bondoer, Sorensic was pretty much his compass on the field, and had Bondoer help him out, who told him what he did wrong and what he did right. As time went on he had to straighten himself out had to take a step back and evaluate what he learned and what to value. Two reasons he for sticking around, he stuck around because of the group of guys and he appreciated the easy going spirit, even if going on the field meant focusing to get the job done. Sorensic saw all of that and more in the group of people that the unit composed of. Around this time however Sorensic’s Youtube channel: Sorensic Steel, also kicked off. Over the course of a month, his videos went from hundreds of views to over 1.6 million, and with that began the July Massacre, where hundreds of people joined the unit in a very short amount of time. With the demands of life, the unit, and Youtube pouring down on him, he took a step back a chose to stay as a Sergeant-Major, to prevent from collapsing under the pressure of life. Streaming and Youtube has greatly affected his time within the 501st. Sorensic has not forgotten that the unit helped him get where he is today. He does everything he can to help the unit out because of this reason. Sorensic has been with the 501st for a long time now and hopes that he continues to serve under the blue banner. His greatest hopes are encompassed in people’s creativity and hopes to see more creative and enjoyable experiences in this unit, lest it descend into stagnation. His story will continue to evolve in parallel to the 501st and his influence will continue to inspire many to create their own stories. In other news, CX-S Jackson and CI-O Roadboy have hosted a Rainbow Six: Siege tournament featuring teams created in the 501st. We had a chance to speak with them on the internal workings and the thought process behind such an exciting event. “The process for this has been fairly straight forward, I've got a check-in from team captains of who's attending, possibly having Sorensic cast it for people to see, and we have the teams all lined up ready to go with an addition of people who may want to come in and don't have a team. I used a website (https://challonge.com/501stR6STournament) to help guide the process in and set up the bracket while making it look good. People can use this to make predictions of the game and they can also watch live of how it's going.” - CI-O Roadboy. The response has been amazing so far, many teams have registered on the discord, with around a total of 90 players who have joined up in response to Jackson setting it up. Possible plans for the future could come under seasonal matches, or regular events on a basis such as monthly/every 6 weeks. It would be ultimately up to Jackson for that however he listens to the people's wishes within the Discord. With that, another week concludes in for the 501st newsletter. We will report back on any news from the campaign, internal unit progress and and updates from the 501st. 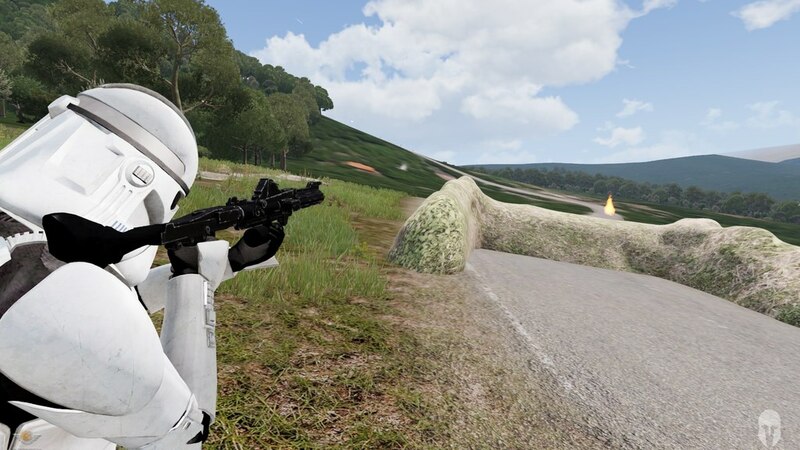 “I have been in Avalanche Company for my entire career up until today (July 2017 - March 2019) in the 501st Legion, having been an Assault Trooper in 2-2 under CP Euler, to a Team Leader in 1-2 under CP Alpha, to the Squad Leader of 1-1 as a Senior Trooper, then 1st Platoon Commander, and finally Avalanche Company Commander. I have witnessed Avalanche grow from 2 Platoons to 4 Platoons, been through its rough times and the good. Many of you in Avalanche I have known and followed your paths your entire service in the 501st, some of you I helped influence to pursue leadership. I leave Avalanche at the highest point it has ever been under my leadership. The Platoons are performing the best they have ever performed and the squads are active and conducting weekly trainings more consistently than ever before. I love Avalanche and I will miss it dearly. I am so proud of everyone in Avalanche, for all the work and dedication yall have done. I leave you in the very capable hands of 2nd Lt. Player, whose dedication to Avalanche Company rivals my own. It has been an honor and a privilege serving as your Company Commander. Other info: If you are interested in joining Razor send a message to CX Nocturnal or CX Scuba that you would like to participate, will be taking candidate names through the first of April. If you get caught while dragging someone, press your "C" key to free yourself. Lieutenant Euler lost a Halo Online 2v2 to CX-X Koop and CT Sideways. I'd like to thank CT Sense for his help on the news team. He is being rewarded with a promotion to news editor.